What's going on with the North Bergen Liberty Generating plant? Township officials attended a public information session in April at the site of the proposed plant. Rallies are backed by several township and elected officials, including Senate Majority Leader Loretta Weinberg. Hackensack Riverkeeper Captain Bill Sheehan has opposed the plant since it was introduced. Township officials attended a public information session at the site of the proposed plant in April 2018. Rallies have gained support from elected officials including Senate Majority Leader Loretta Weinberg. The North Bergen Liberty Generating (NBLG) power plant opened a floodgate of opposition when it was first proposed. A coalition of environmental groups claim that the plant would jeopardize Meadowlands recovery and deplete air quality. Advocates for the plant including North Bergen officials, tout economic benefits at the local, state, and federal level. 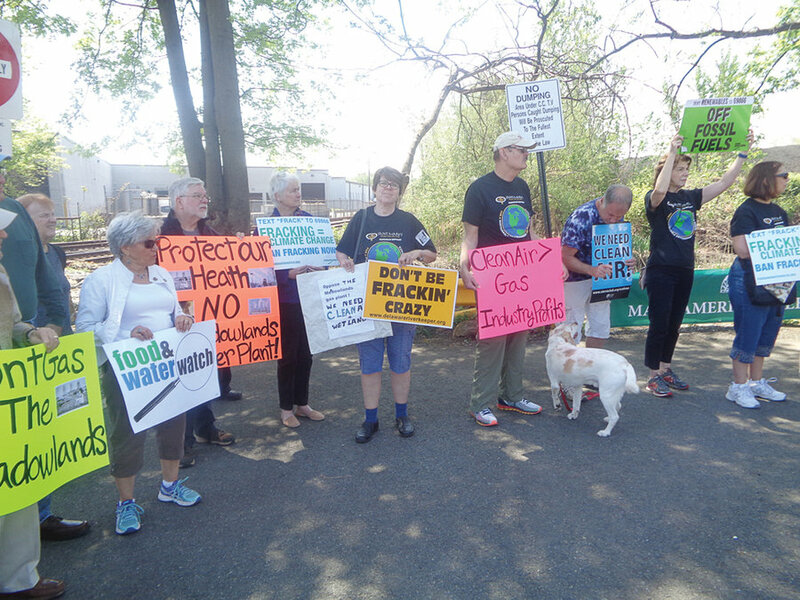 The NBLG plant made headlines when several mayors and other officials including State Senate Majority Leader Loretta Weinberg joined the “Don’t Gas the Meadowlands” coalition of more than 40 organizations including Food and Water Watch, the NJ Sierra Club, and the Hackensack Riverkeeper. The next step for the project will be an air-quality certification from the Department of Environmental Protection (DEP). A public hearing on this permit is pending. The site is in an industrial zone just off Route 1 and 9 on the Ridgefield border, just over a mile away from PSE&G’s Bergen Generating Station in Ridgefield. The NBLG plant is designed to channel all its 1,200 megawatt output through a 6.5-mile underground cable across the Hudson River to a Con Edison plant in Manhattan. It will cost an estimated $1.5 billion to build, with an annual maintenance cost of $5 million. According to proponents, the plant will be 34.4 percent more efficient than average gas plants in New York City and will reduce reliance on older plants with higher emissions. The plant will reportedly generate as much power as an array of solar-energy panels six times the size of Central Park, or a wind farm the size of Bergen and Hudson counties combined. A long line of approvals are pending, but there are no indications that NBLG won’t fall in line with environmental standards in place from the Christie administration. The DEP has granted the plant mandated waterfront development, flood hazard, tidewater wetlands, and water quality certificates. The next DEP permit relates to air-quality regulation. The plant awaits approval from the Army Corps of Engineers, Federal Energy Regulatory Commission (FERC), U.S. Coast Guard, and Coastal Zone Management Consistency. The projected emissions that the NBLG plant will produce on a yearly basis were released by the DEP in a letter. These emissions are known to contribute to global warming; cause acid rain; are carcinogenic; or cause cardiovascular, respiratory, reproductive, developmental, and neurological issues from longterm exposure. Some 3,500 tons of carbon dioxide will be released annually, which will increase total emissions in New Jersey by 20 percent. Annually, according to the DEP, the plant will release 423 tons of carbon monoxide, 305 tons of nitrogen compounds, 376 tons of particulate matter, 262 tons of ammonia, 73 tons of methane, 52 tons of sulfur dioxide, and 1,000 pounds of benzene. According to a Sierra Club report, sewage wastewater used for cooling could cause chemical drift from evaporation, killing plant life near the towers. That report also noted the plant’s backup supply of more than one million gallons of oil. That supply, uphill from the Meadowlands, could be catastrophic for the environment if a leak or oil spill occurs. The plant will be connected to the Williams Pipeline, which channels fracked gas 23 miles from Rockaway Peninsula in Queens to northern New Jersey. The report also charges that a 40-foot-wide trench that must be dug to establish a connection to the Williams Pipeline is a threat to ecology. Hudson County currently has an “F” from the American Lung Association based on its air quality, according to its State of the Air report. North Bergen is the only municipality that will receive property taxes from the plant. A PILOT (Payment in Lieu of Taxes) plan is in effect because the site is owned by the company. New York City will receive a supply for its power grid well over the deficit expected when Indian Point nuclear plant closes in 2021. That supply will come from a plant that will produce emissions on the other side of the Hudson. A fiscal analysis, published by the New York Department of Public Service, reports that 600 construction workers will have full-time work for three years. That comprises 13 percent of Hudson County construction sector jobs in 2015. Construction taxes will be generated for the state to the tune of $48.56 million. According to the analysis, once the plant is up and running, 33 permanent high-value jobs will be established onsite. Property taxes are projected to be $5.28 million annually, and the plant will generate $53.08 million annually in state taxes between New York and New Jersey. N.J. Gov. Phil Murphy hasn’t made any public comment for or against the construction of the NBLG plant. In May 2018, Murphy passed a legislative package aiming to reach 100 percent renewable energy production in the state by 2050. Part of the legislation directed agencies to assemble a new energy master plan that provides a pathway to the state becoming 100 percent renewable-energy based. The plan won’t be enacted until later this year. 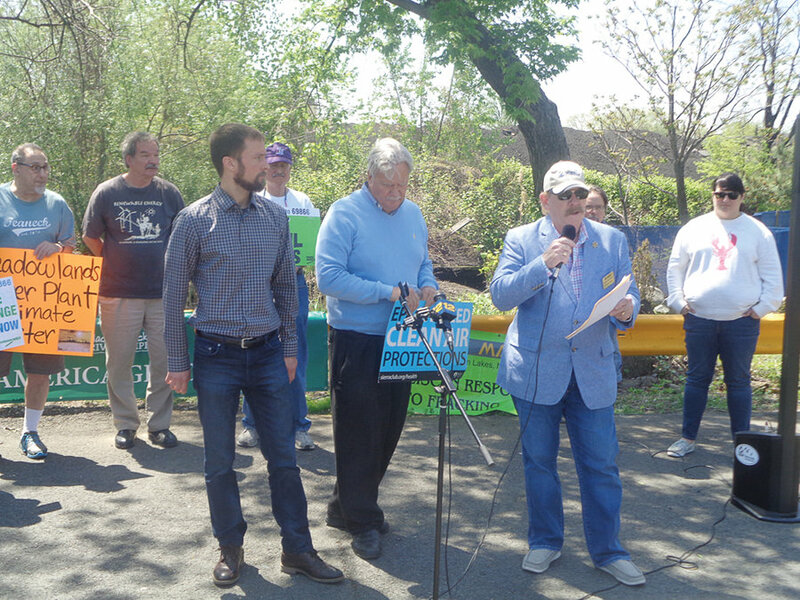 Jeff Tittel, director of the New Jersey Sierra Club, called on Murphy to put a moratorium on the construction of new gas-fired power plants in the state, to meet that 2050 goal. Near-identical resolutions passed in more than 30 nearby municipalities state that the plant is in “direct opposition” to that same renewable energy goal, citing concerns that testing for emissions compliance is inefficient, and citing $13.3 billion in fines paid by top electric power providers paid since 2000. 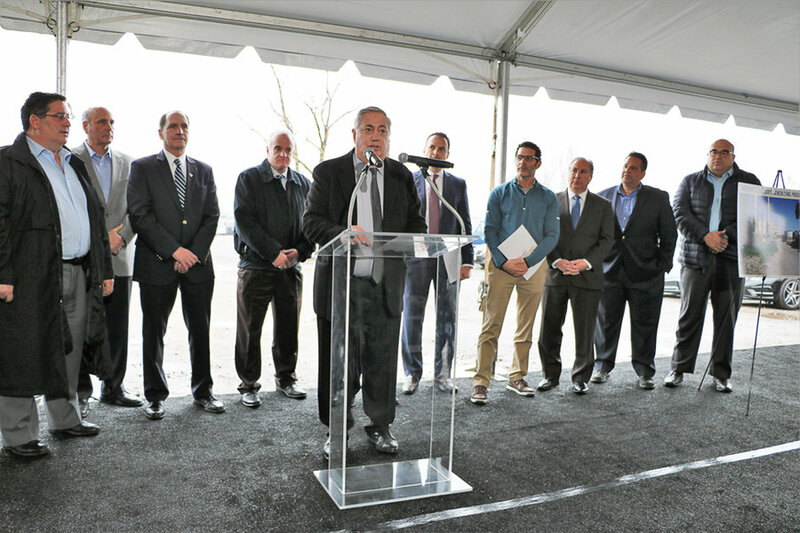 Spokespersons for the plant said that, with the closure of Indian Point nuclear plant in 2021, the North Bergen power plant is necessary to address a regional need for increased energy production. No public entities in New York or New Jersey have backed that claim yet. New York’s Public Service Commission and Independent Service Operator are conducting research to discover whether the plant is necessary for the power grid. Hackensack Riverkeeper Captain Bill Sheehan reported that there are “viable in-state options to supply New York’s power grid,” which would keep emissions out of New Jersey.